Hypoluxo Beach: Spectacular Ocean to Intracoastal Estate on 1.7 acres with 160 feet of Ocean frontage. Palatial Iron Doors open to a sweeping staircase and atrium with court yard fountain. Entertain in the grand oceanfront great room featuring dramatic volume pecky cypress ceilings, a 25 foot illuminated onyx wet bar and wood burning fireplace. Gourmet Chef's kitchen and butlers pantry compliment the oceanfront dining room and breakfast room. Exquisite custom wood work, stone work, and the finest finishes. Private tennis court, putting green, pool and cabana with summer kitchen overlook 160 feet on the Intracoastal waterway with a private dock for an approximately 120 foot boat. Bring your car collection with garage space for 10 plus cars. Brand new immaculate turf lawn and lush landscaping. Admirals Cove: One of South Florida's most well-known club communities is about become even more desirable. Upon its highly-anticipated completion in spring of 2019, 134 Spyglass Lane, located in Jupiter's Admirals Cove, will set a new standard of luxury in Palm Beach County. Boasting the finest craftsmanship & state-of-the-art features, this custom estate home will be the only home you want to see this season. The moment you enter, this estate will take your breath away with its immaculate finishes and spacious, open floor plan, highlighted by an expansive great room with custom fireplace. Additional features include a gourmet-chef's kitchen with the latest high end appliances from Blue Star, Sub Zero & Wolf, a separate butlers pantry, along with a bar & a wine cellar set to impress all connoisseurs. North Fork: Magnificent custom built waterfront estate with breath taking river views. Over 375 feet of water surrounds your own private oasis. The home boasts the finest designer finishes and exceptional details throughout. A sleek modern open floor plan, high ceilings, a spacious master suite with a balcony, Jenn Air kitchen appliances, a whole home generator, mahogany custom accent walls, a large roof deck offers 360 degrees of stunning views are just a few features of this must see home. Palm Beach Polo: Modern golf course and lake view residence in prestigious Cypress Island of Palm Beach Polo. Cutting edge design united with striking glass with open layout. Natural elements fused with tropical con-tempo tones creates a warm inviting natural feeling. Zen inspired pool area , grand 3 car garage, 6 bedrooms with 4 of the bedrooms located on second level. Serene living with multiple voluminous balconies and terraces embraces transitional indoor-outdoor lifestyle. Admirals Cove: Fantastic Custom Estate Homes just steps from the Intracoastal. This home boasts magnificent features throughout, including hardwood and stone floors, first floor master suite, elevator, dual staircase, private 1 bedroom 1 bath with sitting area guest suite. Second floor has 4 bedrooms, including one VIP suite & an additional game/social room for entertaining. Open chef's kitchen to family room complete with secondary butler/catering space perfect for entertaining. Outdoor living with summer kitchen and cabana bath with the finest Intracoastal views, pool and spa, dock for a large yacht round out this magnificent home. Admirals Cove: NO MEMBERSHIP REQUIRED! This home has been freshly painted on the exterior. 4 bedrooms each with private bath, which includes a cabana guest suite, granite & wood kitchen, stone floors, custom wood moldings, fireplace, home theater, executive study, lavish master suite with his/her baths & closets, and private exercise room. Bring your boat to the protected dock that will accommodate a boat up to 70'. Relax in the resort style pool complete with waterfall and rock spa. Offered fully furnished. This home allows you to take advantage of several membership options in one of the most prestigious Golf and Boating Communities in South Florida. All sizes and measurements are deemed reliable but not guaranteed. This is a magnificent custom built estate home in Kensington of Palm Beach Polo and Country Club. Wrought iron gates lead into the courtyard surrounding the elegant entry and lush landscaping. Imported materials were used to craft this Mediterranean masterpiece. The formal foyer features a grand staircase to the second level with solid limestone steps and elegant railings. The living room has soaring ceilings and overlooks the incredible rear patio and spa, fountains and a beautiful free form pool. The home sits on a large lot with stunning golf views. Ocean Ridge: Spectacular 3-story Mediterranean townhouse steps from the ICW + a short distance from the beach in the serene Ocean Ridge! Every amenity you can imagine from elevator to Wolf/Sub-zero kitchen! 4 spacious bedroom suites (2 masters), quest/in-law quarters, 2-car garage, patios galore, wood floors, marble bathrooms, built-in closets, outdoor spa pool, fireplace + more in the best kept secret in Palm Beaches! Boca Raton Riviera: Amazing new townhouses only yards from the oceanfront parks of Boca Raton. Porcelain floors, large bedrooms and two car garages. Private lot with great curb appeal only one street west of A1A. Set in the heart of the Boca beachfront and just a short trip to Mizner Park and Downtown. Expected to be move-in ready by Mid-Summer. Still time to make a few choices and set up for private pools. Two different units available. Come see your next home today! Seasons: Incredible ''one of a kind'' custom build estate in the heart of the highly desirable Seasons. This impeccable 5 bedroom 6 bath pool home is situated perfectly on an expansive corner lot boasting some of the longest lake views in all of Boca Raton. With square footage pushing 5852 square feet, soaring ceilings and an open floor plan. 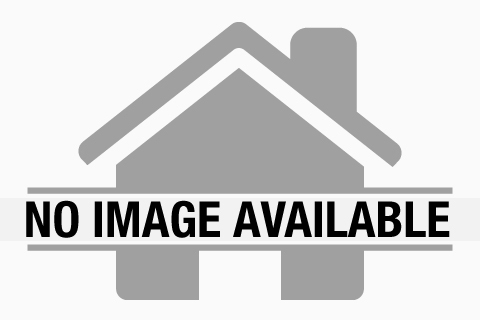 3-car garage, single-family home on expansive, private, park-like, 12218 sf lot in the most desirable and centrally located neighborhood in Boca Raton. Interior includes abundant wide-panel sliding door windows, a spacious ground floor master and additional bedroom/office, three 2nd floor bedrooms, generous open kitchen with center island, custom wood pull-out cabinet drawers,The potential for this large lakefront Boca Raton home is limitless. Palm Beach Farms: Amazing opportunity to own this TOTALLY RENOVATED, 5 Bedroom plus Loft, 5 Bathroom spectacular home in Palm Beach Farms, one of the most sought-after neighborhoods in East Boca. Over $350000 in renovation upgrades, including a new roof that will be completed in 60 days, custom impact windows/doors, new flooring, bathrooms, updated kitchen with Quartz countertops, induction cooktop w/pot filler, new SS appliances, LED lighting, smart house features, electrical & plumbing, 4 new A/C units, custom closets, incl. a laundry chute. Generator hook-up with portable generator. First floor Master Suite. Soaring ceilings with views of incredible covered entertaining patio that surround the pool. Beautifully landscaped. A-Rated schools. Too many upgrades to mention. Please see attached list. PRICED BELOW MARKET VALUE! Stunning lakefront estate in The Oaks. This 5 bedroom/6.5 bathroom two-story custom built estate is the perfect home for anyone looking beyond the ordinary. This property offers a one of a kind courtyard w/ beach style pool + spa and outdoor summer kitchen. The master bedroom includes his + hers private bathrooms + walk-in closets. On the second floor, 3 bedrooms en suite with large closets + an amazing loft. On the main floor, enjoy an open floor layout with an exquisite custom-made kitchen, huge family room + breakfast area, formal living room + dining room. Home includes wonderful landscaping throughout the oversized lot, circular driveway + 3-car garage. This amazing property also offers a pool house w/ private bathroom + a unique indoor sports court. Delray Ocean Villas: RARE OPPORTUNITY to own in one of Delray’s most sought after OCEANFRONT communities. Featuring a very limited supply of only 30 homes with EXCLUSIVE PRIVATE BEACH ACCESS! LARGE SQUARE FOOTAGE! Enjoy the beach lifestyle at its finest in this spacious 3 bed, 2.5 bath condo only steps from the sand.Expansive OCEAN and INTRACOASTAL views from almost every room! HUGE balcony that wraps around the master bedroom & living area.Marble flooring throughout living space, multiple walk in closets, additional storage plus washer/dryer in unit.Your attached garage parking leads to a semi-private elevator with a private hall entryway into your oceanfront oasis. Ocean Place Condo is a PET FRIENDLY community with private beach access, pool, hot tub, & multiple sunning decks featuring bbq grills.A must see! Palm Square: Welcome to 132 NE 7th Ave in downtown Delray Beach, Florida. This property is a short three minute walk to Atlantic Avenue, while offering the quiet neighborhood feel. This unique duplex residence could be purchased for investment or transformed into a spectacular single family home. The lot has been beautifully maintained over time and offers palm trees, (2) avocado trees and a well landscaped plush grass yard. Driveway for (4) cars and room to expand your driveway in the rear of the lot with full access to the rear alley road and Renaissance Way. Welcome to 132 NE 7th Ave in downtown Delray Beach, Florida. This property is a short three minute walk to Atlantic Avenue, while offering the quiet neighborhood feel. This unique duplex residence could be purchased for investment or transformed into a spectacular single family home. The lot has been beautifully maintained over time and offers palm trees, (2) avocado trees and a well landscaped plush grass yard. Driveway for (4) cars and room to expand your driveway in the rear of the lot with full access to the rear alley road and Renaissance Way. Admirals Cove: Enjoy a resort lifestyle while living in this single story home in the prestigious Admirals Cove. This home was remodeled to now showcase a formal dining room with a china storage closet, an enclosed porch complete with a BBQ grill and an additional full bathroom. Impressive custom built-ins throughout. The home features 3 bedrooms, 4 full bathrooms, a den with a built-in Murphy bed, high vaulted ceiling and a two and half car garage. Great opportunity to make Admirals Cove your home.